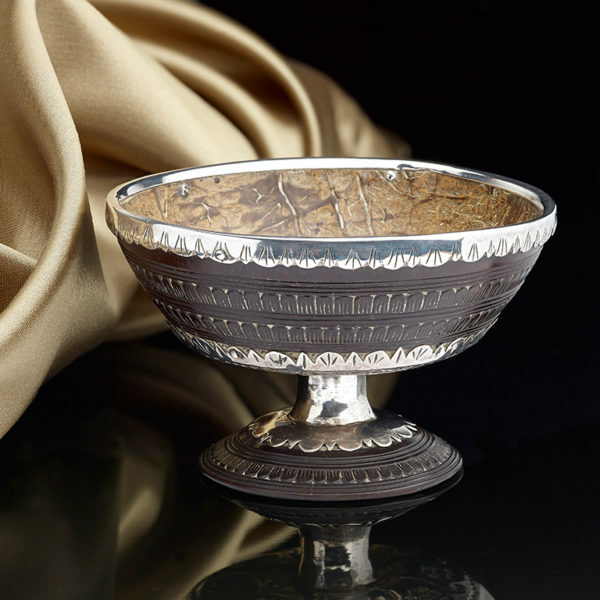 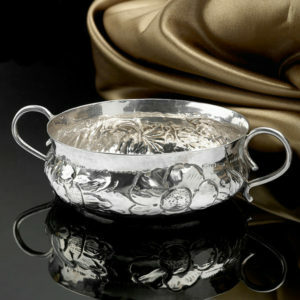 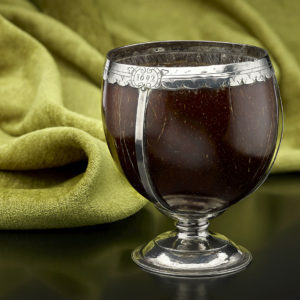 A rare and unusual mid 17th antique Century Wine Taster or Cup; Silver stem with coconut base and bowl c. 1660. 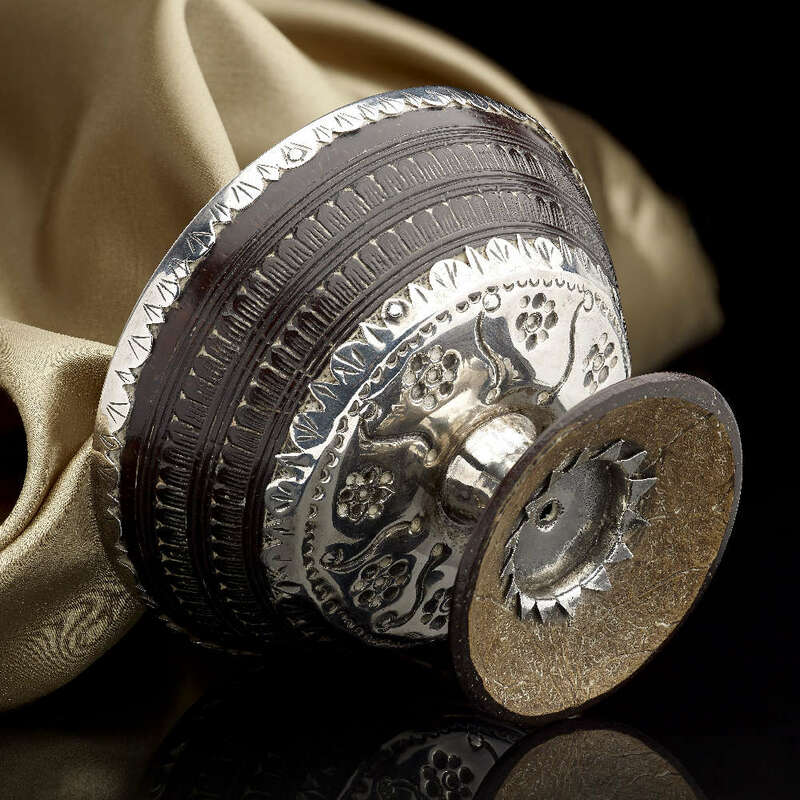 Ex Alastair Dickenson. 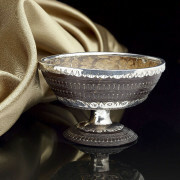 Approximately 2 ¼ inches tall, 3 ¾ inches in diameter across the top, and 3 ounces in weight.